Our love of screen time could be affecting more than our vision, with leading eye care network, PersonalEYES opening a dedicated clinic to cater to the millions of Australians suffering from dry eye syndrome, a chronic condition that causes irritation, redness, fatigue and excessive tearing of the eye. Sydney’s new stand-alone clinic for the condition, the Dry Eye Institute, will provide comprehensive specialist treatments that are rarely offered by optometrists or eye specialists due to the cost of equipment and diagnostic tools. The broad spectrum of solutions now available to treat dry eye makes it almost impossible for a standard optometrist or ophthalmology clinic to incorporate into their practice without compromising on vision correction services and other treatments.The Dry Eye Institute is the only ophthalmology location in the Asia Pacific region that can treat dry eye using Plasma Rich in Growth Factors (PRGF) eye-drops, custom-made from the sufferer’s own blood plasma. They are called Endoret Autologous PRGF Eye Drops and have been shown to be effective at healing a patient’s ocular surface that was previously unresponsive to other therapies. “Dry eye syndrome is a progressive, underdiagnosed condition that can affect the clarity of vision and cause severe discomfort. Our decreased intake of omega-3 and larger consumption of saturated fats and pro-inflammatory diets are putting people more at risk for dry eye. Screen time is causing us to blink less and change our focal point less, which leads to corneal irritation and subsequent changes consistent with dry eye disease. 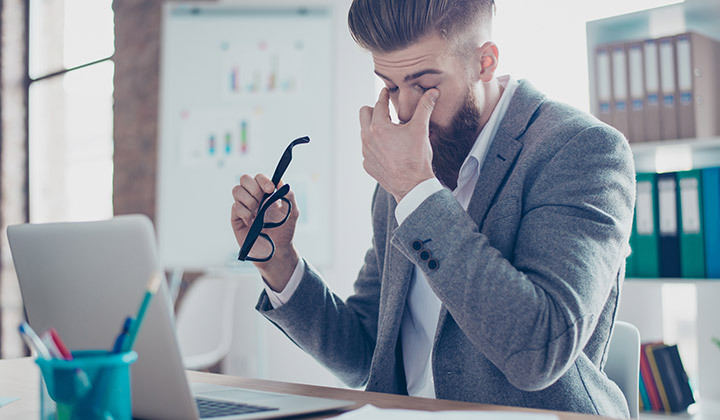 Dry eye is a common condition of the elderly and contact lens wearers but in recent years, increased screen time has led to the prevalence of this condition much earlier in life, particularly in office workers. Generally, sufferers overlook treatment because the symptoms might be manageable, with many using lubricating drops to help, however this does not treat the underlying problem.The clinic is fully equipped with diagnostics to test for dry eye syndrome and offers a full suite of therapies in addition to the PRGF eye drops, including Intense Pulsed Light (IPL) technology, which targets the blood vessels surrounding the glands of the eyelids for better function of the eyelid glands, and Lipiflow thermal pulsation, a treatment that warms and massages the eyelid to clear out the glands. The Dry Eye Institute will accept bookings from Tuesday October 3, 2017. It is located at 33 York Street, Sydney above Wynyard Station, to provide easy access for patients around NSW.